Why Employee is being Fired? (a) Future Requirement: Most of the hiring in any organization specially in new age sectors like IT and E-Commerce is speculative. Employee is being hired based on projected future growth potential of organization. Many times this judgement goes wrong and employees become redundant. I know cases wherein an employee was fired within 3 months of hiring despite the fact that some of them were re-located from one city to another. The unsaid reason was same that company failed to get clients or gauge the business potential correctly. This misjudgment of company spoiled employee’s career. (b) Out of Focus: Normally you must have observed that majority of layoffs are from particular division / department of company. It means company is not focusing on this division. Employees become redundant and are laid off on performance basis. (c) Automation: In my opinion, Automation is and will be one of the major reason for employee layoff. Long back, secretarial staff constitute majority of employee strength. With automation and digitization, secretarial staff disappeared. PSU Banks, Department of POST and other Govt companies are facing this problem. Staff is redundant because of Automation. Same is true for IT industry. As per my knowledge, some IT companies have huge pool of software testers but now software testing is also automated which will make this staff vulnerable to layoffs. Automation will conquer new territories in future because of inherit cost advantage. (d) Temporary Skill Set Required: Sometimes an employee is hired for specific task but he is not informed regarding the same. For example, person A is excellent in setting up a particular division. He will be hired to set up that division for company and will be fired once the work is over. (e) Cost Cutting: Another common reason is to cut cost. Rather firing employee in top management who is responsible for this entire mess, poor employees are being fired. Another solution for cost cutting is to cut salary across the board rather punishing few employees. (f) Performance: Last but not the least, Performance is also reason for layoff. Though it is subjective as i explained. Normally non-performing employees leave on their own. They don’t wait for layoff as they know they will not be able to survive. Employee Layoff – How it works? (a) Ground Work by HR: Employee Layoff is not an overnight process / one night stand. It require ground work of atleast 6 months with meticulous planning by HR department. The core of entire exercise is “Performance of an Employee“. I must admit based on my experience that Performance is most subjective topic in the organization. 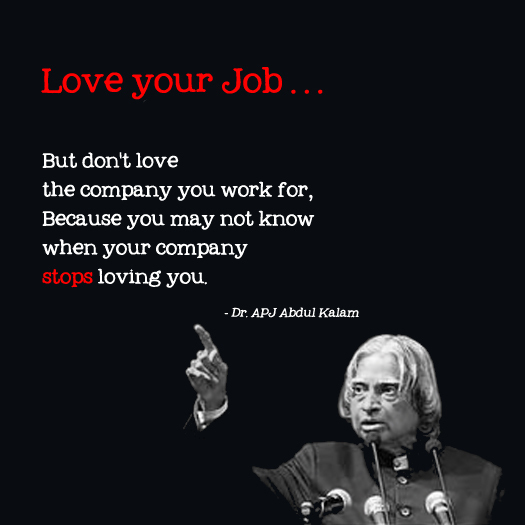 It depends on your relation with your boss. If your frequency is not matching with your boss then be ready for layoff. Let me share an example. Suppose i am Sales employee and my annual sales achievement is 50 Cr. Now this achievement will look extra ordinary if my sales target is 20 Cr but if my boss increase Sales Target to 100 Cr then same performance looks piece of waste paper. Now who will decide how i am performing..Its my BOSS. Sales Targets or for that matter any employee target is very subjective and there is no scientific way to measure. Under this exercise, HR department and Management identify the potential targets for layoff. Fine tune the performance parameter of employee so that under any circumstance, employees performance will look average or below average. (b) Performance Appraisal: After ground work, one performance appraisal cycle is definitely completed as an eye wash. The potential targets of Layoff are given average or below average rating. This will be ground for layoff. Some times performance appraisal exercise is planted to show that layoff exercise is completed with all the fairness to employee. For example, if any organization which carry out only annual performance appraisal cycle suddenly announce half year appraisal then Beware !!! 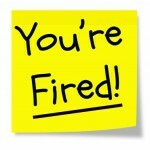 (c) Employee will be asked to Resign: To handover pink slip is last resort for any employer. It is handled with maturity to avoid any negative publicity. This exercise of Employee Layoff “Involuntary Attrition” is carried under the HOLY umbrella of “Voluntary Attrition”. An employee will be asked to resign else he is threatened with dire consequences of being fired /terminated, which may spoil his career. Employee does not have any option but to put in his papers. HR department will happily report this attrition as “Voluntary Attrition“. (d) Agreement: To safeguard their interests and to avoid any future litigation or hassles, employer will force employee to sign mutual legal agreement. Employee will give forceful declaration that he is leaving the organization”voluntarily” without any pressure and coercion. As a carrot, he will be given 3 month full pay leave equivalent to notice period. It is also known as Gardening leave. All balance leaves will be reimbursed and PINK HANDSHAKE is given. I will not say Golden Handshake because employee is left in a lurch. As i mentioned earlier that “Involuntary Attrition” no’s are stage managed and manipulated to show that “ALL is WELL”. It is important to look at total Attrition. HR department may take proud in showing that employees are Happy but they forget that “Voluntary Attrition” is carrying the BLOOD of forced “Involuntary Attrition”. Company also forgets that they are not FIRING one employee but they are firing the entire family of employee. Job Layoff is setback for employee and push back his career by 5-6 years. It should be avoided and only people “responsible” for this situation should be fired. IF ANY EMPLOYEE IS BEING FIRED ON GROUNDS OF PERFORMANCE THEN FIRST PERSON TO BE FIRED IS HR EXECUTIVE WHO HIRED THE EMPLOYEE. Though i am not against HR department but job layoff implies that HR department failed in its duty to hire a competent employee.